Oral DNA Saliva Testing - Dr. Isaac Comfortes, D.D.S. Isaac Comfortes, D.D.S. offers DNA saliva testing to ascertain your risk of periodontal disease and the presence of specific periopathogenic bacteria. With this information, we can help you better eliminate inflammation in your mouth and the spread of bacteria and inflammation throughout your body. Because chronic gum disease is a contributor to cardiovascular disease, diabetes, arthritis, inflammatory bowel disease, kidney and liver disease, obesity, head and neck cancer, neuro-inflammatory diseases, preterm birth and more, health-conscious patients are delighted with the availability of this relatively low-cost diagnostic service. 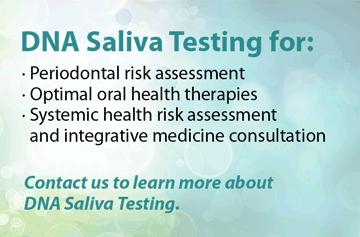 Reduce your risk for many systemic diseases with oral DNA saliva testing. The Centers for Disease Control and Prevention estimate that over half of all U.S. citizens have gum disease. Left untreated, these individuals are at high risk of advanced periodontitis, tooth loss, and inflammation throughout their bodies. Scientific evidence has made clear that the bacteria in your mouth enter your bloodstream and are carried to all the organs of your body where certain oral bacteria can increase your risk of many systemic diseases. With oral DNA testing, Dr. Isaac Comfortes can determine the specific type and amount of disease-causing bacteria in your mouth. He also can provide you with the advice, treatment and medical referrals you might need to lower your risk of chronic periodontal disease and other inflammatory diseases of your whole body, including heart disease, stroke, diabetes, rheumatoid arthritis, metabolic disease, and more. Dr. Comfortes partners with OralDNA Labs for saliva diagnostics. Your saliva is collected by swishing a small amount of sterile saline solution in the mouth and spitting it in a funnel. Your saliva specimen is sent to the lab. When the lab report is returned, it will list the specific bacteria present that are associated with gum infection and allow Dr. Comfortes to develop an effective treatment plan. With bacteria-specific antibiotics, the bacterial risk of disease progression will be reduced. In most cases, his targeted treatment will greatly help stop the periodontal infection from continuing. Another test can tell if you have an exaggerated immune response to oral bacteria due to family genetics and will put you at greater risk of developing gum infections. Even with good oral hygiene at home, patients with this susceptibility benefit from more frequent teeth cleaning appointments and checkups. Tests also can be done to learn if the Human Papilloma Virus (HPV), Herpes Simplex Virus (HSV), Chlamydia trachomatis or Neisseria gonorrhea are present in the mouth or throat. Specific types of the HPV virus can be identified that have separate risk factors for oral and throat cancers. Early detection and monitoring will enable optimal treatment. Patients of Dr. Comfortes should not be embarrassed to request testing and medical referral. Dr. Comfortes is passionate about Oral DNA saliva testing. Dr. Comfortes was one of the first dentists to offer this service and to test his own oral health. His personal test results have helped him achieve improved periodontal and systemic health. He knows firsthand how beneficial this can be, and he is happy to talk about his own experience with patients. Identify the specific bacterial cause of a patient’s oral infection. Determine if a patient has a genetic susceptibility to periodontal disease. Evaluate the risk for developing oral infection. Evaluate the risk for causing or exacerbating certain systemic diseases. More effectively treat those who have advanced or chronic gum disease. More effectively monitor and track the progress of a patient’s oral health. Intentionally refer patients to appropriate physicians. Educate and motivate patients about their specific circumstances. 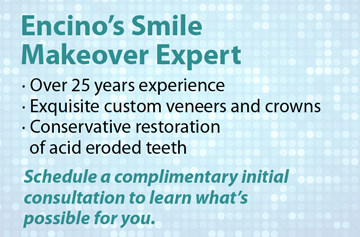 Create a healthy foundation for dental restoration of their smile. 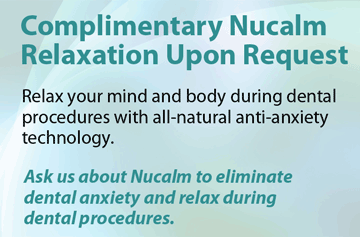 Help patients achieve and enjoy optimal health. Who should have Oral DNA saliva testing? Everyone is a candidate for oral bacteria testing and may benefit from it. Please speak up if you have interest in the testing. Each time you come to our office, we will inquire about any changes in your health and medications. And, we will be looking for signs of periodontal inflammation. Red, swollen or tender gums that may bleed when you brush your teeth. Gum tissue that is receding or pulled away from your teeth. Recurring or chronic bad breath or bad taste. Depending on your circumstances, you may have a heightened reason for saliva testing. Dr. Comfortes recommends saliva testing for patients with gingivitis, periodontitis, and/or one or more known or suspected inflammatory diseases. More saliva diagnostics are on the horizon. Saliva testing is expected to soon be available for the early detection of dental caries and multiple other disease conditions. 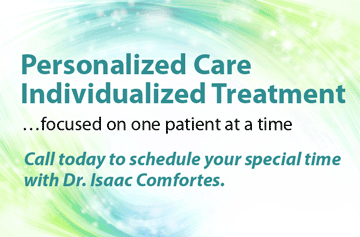 This is an exciting time for dentists like Dr. Comfortes who are focused on patient health. If you are interested in oral DNA testing, give Total Health Dentistry of Encino a call today! Your interest in achieving optimal health for your personal circumstances means a lot to us. We welcome your call – (818) 990-9101.